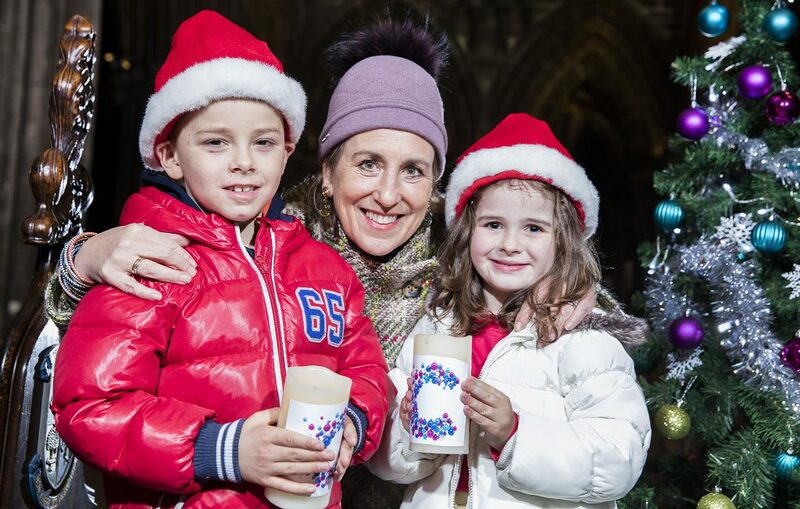 BROADCASTER Kirsty Wark has teamed up with Scotland’s bravest children to launch this year’s Christmas carol concert for Cancer Research UK. Tickets are on sale now for the festive event in the grandeur of Glasgow Cathedral on December 3 which will raise funds to help beat cancer sooner. Kirsty who will host the concert was joined at the event launch by seven-year-old Kai Green and six-year-old Millie Scally. Both youngsters who live in Glasgow are recipients of Cancer Research UK Kids and Teens star awards in recognition of the courage they’ve shown during treatment for cancer. The countdown to Christmas officially began as they pulled on santa hats and were treated to chocolate advent calendars before being presented with VIP tickets for the concert. Every hour, around three people in Scotland* hear the news that they have cancer. But cancer survival rates have doubled since the 1970s and Cancer Research UK’s work has been at the heart of that progress. The charity has only been able to achieve this and fund outstanding scientists, doctors and nurses thanks to the dedication and generosity of volunteers organising events like the Glasgow Carol Concert. Newsnight host Kirsty Wark, who lost her dad Jimmy to lung cancer in 1994, knows how vital it is to bring forward the day when all cancers are cured. Kirsty, 60, said: “Cancer touches so many families. One of Scotland’s best selling singers, Barbara Dickson whose string of hit singles including Another Suitcase in Another Hall, Answer Me and I Know Him So Well is to perform at the concert. Also singing will be The Other Guys, Scotland’s premier all male a capella group, opera singer Cheryl Forbes as well as musical duo Frances Thorburn and David Farrell. The junior performance choir from Erskine Stewart’s Melville School, Edinburgh and the senior choir from the High School are also taking part. The festive event will feature readings by Scotland’s national poet, Liz Lochead and actress Joanna Tope as well as a performance by actress Isobel Rutter who has been through breast cancer. Christmas and New Year is a particularly emotional time for many families of children with cancer. Primary three pupil Kai Green is hoping spring 2016 will mark the end of three years of treatment for acute lymphoblastic leukaemia. Celtic fan Kai, who is a keen footballer had weakness in his legs when he was first diagnosed on April 21 2013 and lost his hair during the first nine months of intense chemotherapy. But Kai is today battling back to full fitness. Kai’s mum, Paula,32, said: “We were amazed that even after chemotherapy, all Kai wanted to do was play football in the garden with his brother Sean. Primary two pupil Millie Scally of Rutherglen was diagnosed with Acute Lymphoblastic Leukaemia, a cancer of the white blood cells, in October 2012, just weeks before her third birthday. Millie is now clear of cancer after completing treatment in spring this year. Millie’s mum,Charlotte,32, said: “Millie’s favourite time of year is Christmas so she’s loved taking part in this Christmassy photoshoot. Cancer Research UK spends more than £31 million a year in Scotland on some of the UK’s leading scientific and clinical research. Glasgow is home to a thriving community of world-class cancer scientists and doctors, who are working to reduce the devastating impact of this disease, not only locally, but around the world. An exciting programme of work has been established at the Cancer Research UK Beatson Institute, Glasgow to look for ways to tailor treatment for pancreatic cancer. 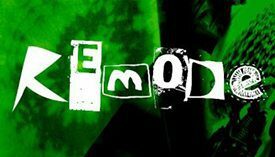 Scientists in Glasgow first manufactured the brain cancer drug, temozolomide. Thousands of people now benefit from treatment with this drug worldwide. Scientists in Glasgow have helped uncover some of the secrets of p53 – a molecule that is faulty in many cancers. Their work is helping open new avenues of investigation that could effectively treat this complex disease. This is only possible thanks to the generosity of the people of Glasgow who support events like the Glasgow Cathedral carol concert.